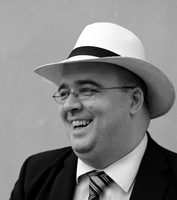 Ireland’s foremost domain registrar and hosting company Blacknight is heading to Sofia, Bulgaria to speak about new TLD marketing for registrars at Domain Forum. The one-day event, which takes place November 1, 2013 in Sofia Bulgaria, will be held at the National Palace of Culture. The annual event is dedicated to the domain industry and focuses on a range of topics from IPv6 to New gTLDs. The conference aims to update attendees on the domain industry, intellectual property protection online, the IPv6 protocol and DNSSEC technology, the Internet governance forum and the Bulgarian IDN domain. The conference is open to anyone who would like to attend but is geared specifically toward domain registrars, Internet providers, domain registrants, Internet users, the academic community, IP lawyers and business representatives.